Earlier this week Facebook announced it’s temporarily dropping the price of its Oculus Rift virtual reality headset and Touch motion controllers bundle. 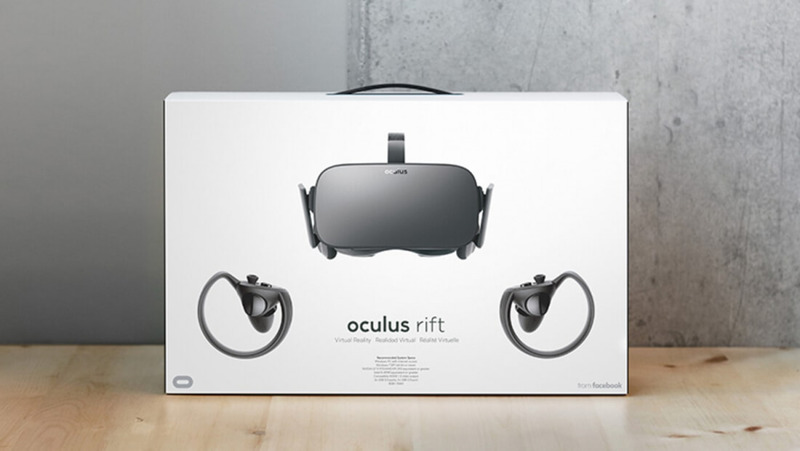 Normally priced at $599, the entire package is just $399 for the next six weeks as part of the company’s Summer of Rift event. When the sale is over, however, the bundle will be receiving a permanent cut to $499. The package will include the Rift headset, two sensors, a pair of Touch controllers, all the necessary cables, and six games: Lucky's Tale, Medium, Toybox, Quill, Dead and Buried and Robo Recall. It doesn’t include the Xbox One gamepad included in the original Rift. Aside from temporary sales, this is the second time the Rift has received a price cut this year, after dropping the headset from $599 to $499 and Touch controllers from $199 to $99 at GDC in March. Oculus hasn't disclosed sales for the Rift but research firm IDC estimates the device has sold about 520,000 units world-wide to date, compared with 770,000 of HTC's Vive headsets. Now at a full $300 less than the $799 HTC Vive it remains to be seen if Oculus can finally outpace its rival. Both Oculus and Vive are planning wireless VR headsets down the line. Just yesterday, reports emerged that Oculus was working on a $200 all-in-one device that would operate similarly to Samsung’s Gear VR headset but would not rely on a smartphone to power it.